i attended Perth Technical College ( James Street Art College) in the late sixties. Light,Landscapes,trees,reflections and water are my favourite subjects. Some of my works have been brought by folk overseas and the United Kingdom. 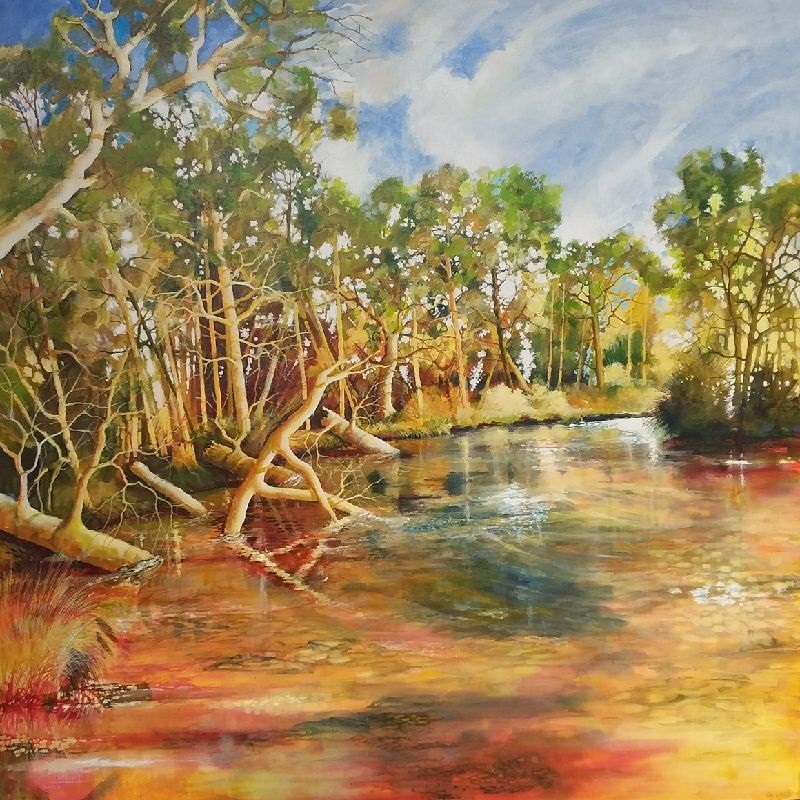 I have sold at Cossack and Wanneroo/ Joondalup Annual Art Exhibition and Carnamar Bi -Annual Art, Pemberton,Walpole and St Marks Art in Whitforbs where I have been entering since its inception. I had a joint exhibition at the Bakery Gallery in Maylands in 2010. 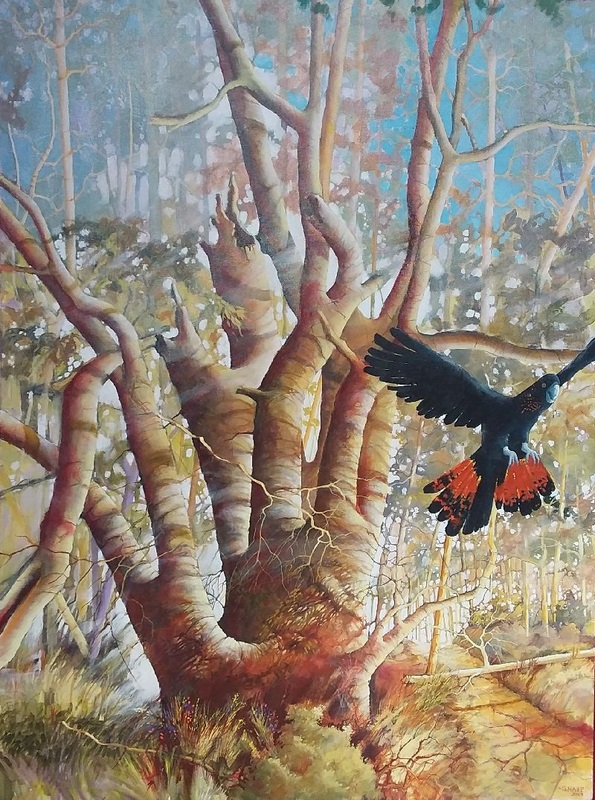 A couple of my works are in Yanchep National Park and one in New York. 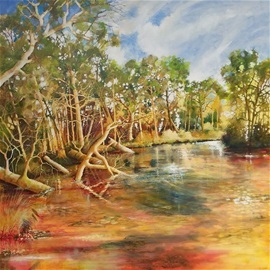 Most if my paintings hang in homes in Western Australia. I have won a number of “ Highly Recommended” Awards. My influences are Georgio De Chirico, Hans Heysen,Dali, Van Gogh. I try to instil a touch of surrealism in many of my paintings. A friend once described it as Australian Surrealism. I was influenced by the music of the sixties,especially the writing of Bob Dylan.